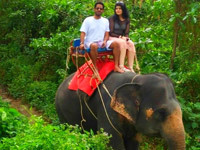 To discovery Safari for finding out the beautiful nature needs the time, that why some people never like to go by join tour group because of they need more time to discovery without hurry. 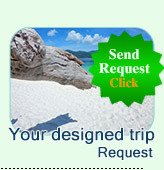 2 Days 1 Nights Private Package is needed, then. 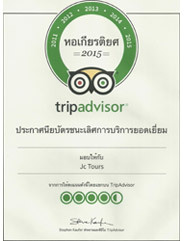 Jc.Tour has choosen the resort on the best classic location and best floating Bungalow on the lake. 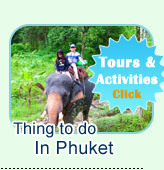 Please see the high-light pictures and read the programs of this package and submit the booking. 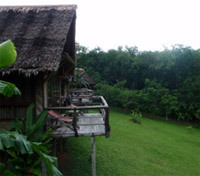 Canoeing on the River is difference on the sea, by this make you can see so many safari animals, Monkeys, Birds, Bats, Fresh Water fishes, snakes etc. 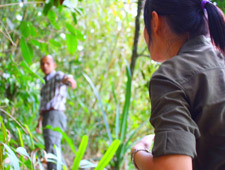 Full of the experience discovery into the deep thick Safari, you are unable to walk by your feet. 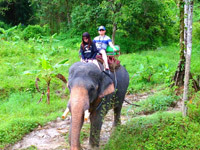 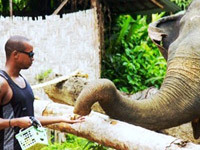 Elephant Trekking at Kho-Sok (Sok Thick Mountain) can make you enjoy the safari and service your must. 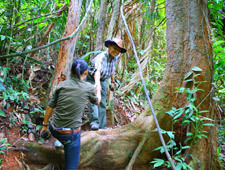 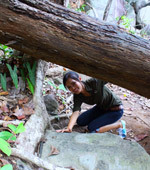 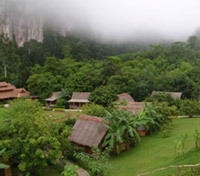 Safari trekking on the completed Safari-Sok Mountain can make you feel adventure and fresh. 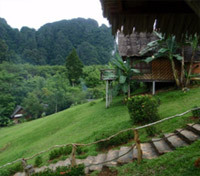 Cliff & River Resort on amides of the Hills and River make you feel freshly every minute you're staying here.